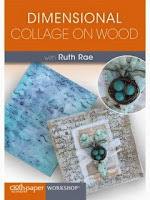 Ruth Rae enjoys combining her deep love of treasures from the past with cutting edge trends of today. 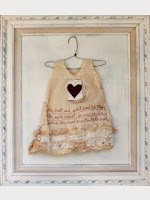 Ruth is known for her soulful jewelry creations that are tales on their own as well as her mixed media fabric work that combines altered textiles, words, and found objects. Her artwork is recognized for it's time worn appearance that she achieves by creating layers of new and old leading the viewer feeling as though they are taking in a creation from long ago. 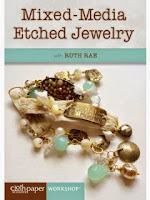 Ruth's pieces have graced the covers and pages of many books and art publications as well as DVD's and television. 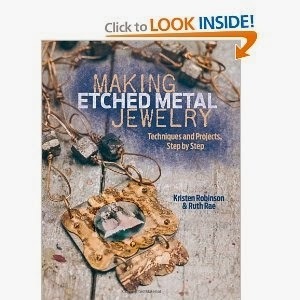 Ruth aspires to motivate and inspire others to follow their dreams through both her artwork, teaching and books. To learn more about Ruth's art and life visit. 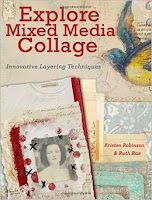 www.ruthrae.com.